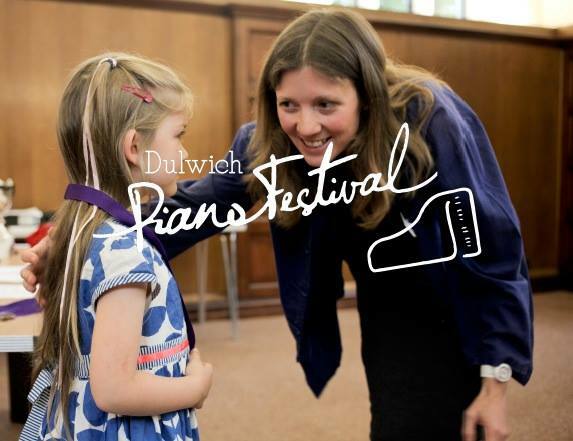 I have some experience of Piano Festivals – as a kid freezing mid tune, cheeks burning and being politely advised to start again, and later winning the cup for under 15s Beethoven when I was around 14.9 (recurring). A passionate believer that music should not be a competition, I kept that cup pride of place on top of the piano (square in the centre) for everyone to see all year until I had to sadly return it. Now I was going to be the one behind that desk with that pen! “With great power comes great responsibility”. There we fifteen youngsters lined up. For each one I had to write a short comment, decide if their performance merited one of the tags, ‘commended’ or ‘highly commended’, (‘outstanding’ if it was flawless), and decide who should come first, second and third. There was a shiny black baby grand in the centre of a plush hall, the audience seated in rows, filling it to the back . I imagine some children might have found it daunting, and some might have been excited at the thought of playing the grand piano. Or a bit of both. But there were lots of smiles on the way there and back as the children came up and gave their performances, which were always received with a hearty round of applause. The duet class seemed a good way to start performing. The children were making the music alongside their teachers, and the teacher’s part provided a handy continuity if they became shaky or got lost. One boy got lost for quite a while, but returned triumphant at the last moment with a nice big fat D minor chord and smile. 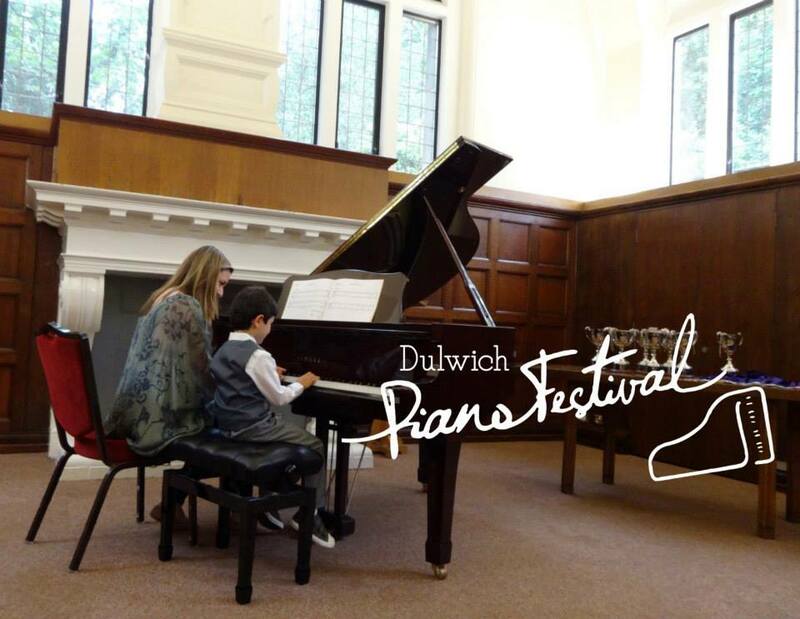 I was listening for sensitivity of playing – using dynamics and tone to convey the mood of the piece, but it really pleased me to hear the different interpretations of my duet which I wasn’t expecting. A girl improvised her own extended ending; a small boy who wasn’t ready to put hands together played different sections with each hand in turn. What a great idea! I must try this with my students. Luckily for me, the three best performances were easily apparent. They were the ones that communicated the feel of the piece, who told a story with the notes. One of these winners did become shaky and lose her way before rallying round for the end. However she was the one who really created a feel of ‘mysterioso’ (the direction written on the piece), playing the hairpins (a sudden swelling and decreasing of volume) beautifully. She was awarded 3rd place, I hope that convinced her she’d done well. Giving the children their medals was such a special moment. I hope that doesn’t sound to cheesy, but those are the only words I can find to accurately describe it! There is a friendly atmosphere and focus on the positive about the festival, even with the swift speed needed to get all the contenders heard, as each class was subscribed to full capacity, and here and there some extras squeezed in. Quite a feat of organisation! 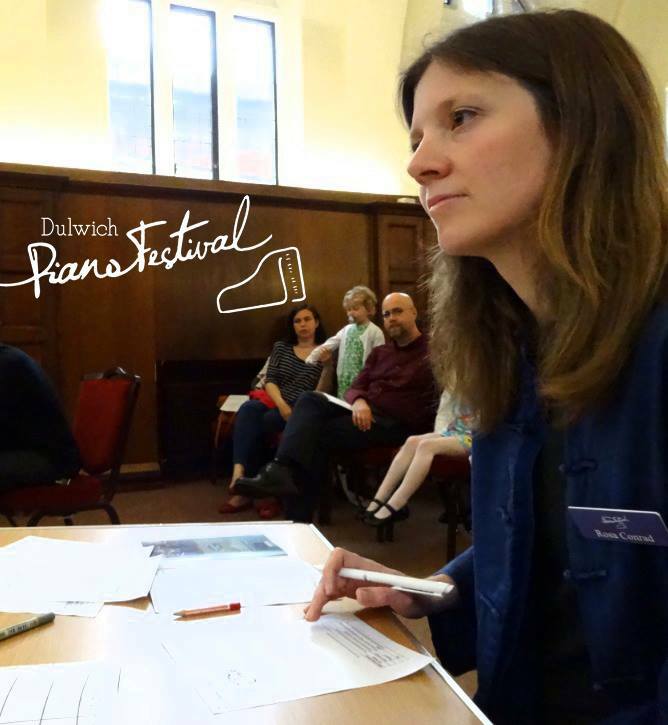 So here I am all grown up: an experienced adjudicator. Now I have seen both sides of the table. I hope I will get the chance to do it again. 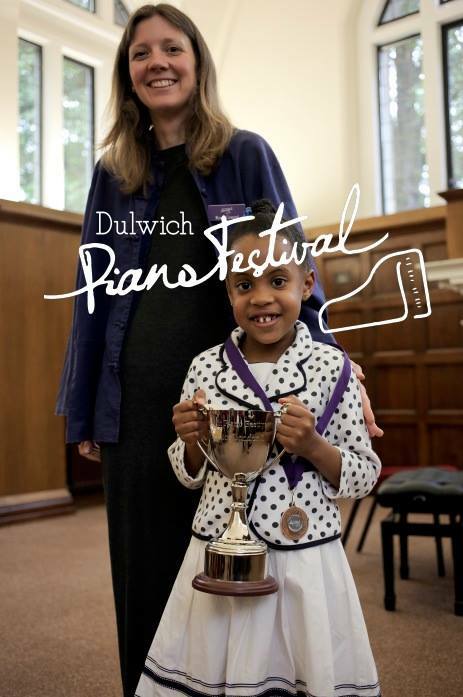 This entry was posted in music teaching, piano, piano duets and tagged competition, dulwich piano festival, Easy Piano Duets, Lorraine Liyanage, piano, piano duets, piano festival, Piano Festivals, Rosamund Conrad's Delightfully Easy Piano Duets. Bookmark the permalink.